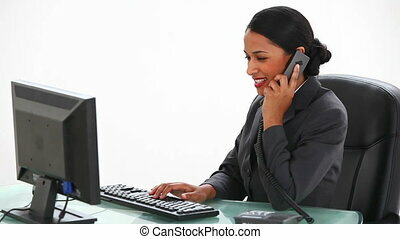 Content young businesswoman working at her desk in the office. 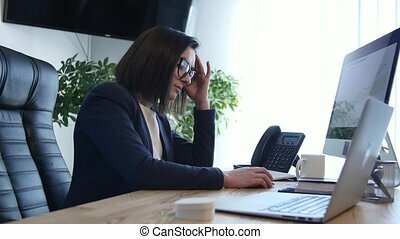 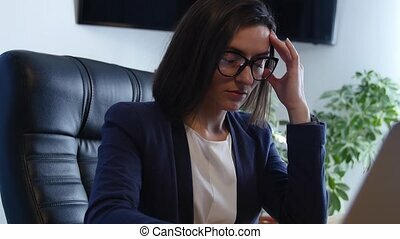 Stressed businesswoman working at her desk in work. 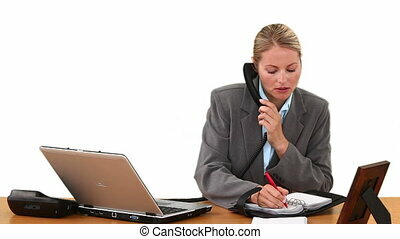 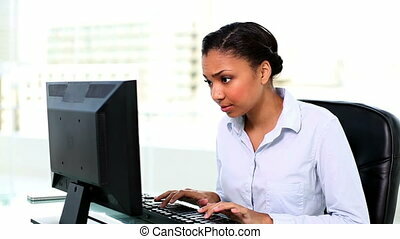 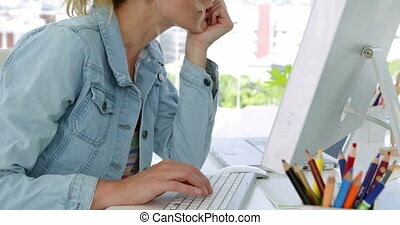 Beautiful young businesswoman with laptop in her office, sitting at the desk, working. 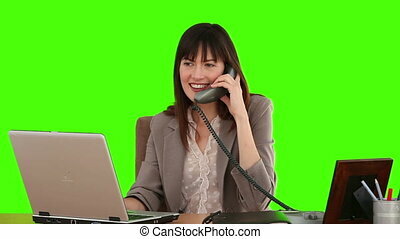 Beautiful young businesswoman with computer in her office, sitting at the desk, working.